SEPTA Transfers end August 31. An alternate type of FREEDOM Card will be available in August. Starting in August, PATCO will offer a new type of FREEDOM Card for customers who wish to use it at SEPTA Key Card readers. The alternate Freedom Card, called FREEDOM SHARE card, is an account-based system where transaction information is stored on a central computer rather than on the actual physical card like current FREEDOM Cards. An account-based card is required for integration with SEPTA’s account-based fare collection platform. Sales of SEPTA tickets from PATCO vending machines will end on August 31. The new FREEDOM SHARE card will be required to transfer seamlessly to SEPTA. · FREEDOM SHARE cards will be available at FREEDOM Card Service Centers in August. The exact date will be announced shortly. · FREEDOM SHARE cards will be provided at no cost and your existing FREEDOM Card value can be transferred to the new card. o Credit card automatic replenishment when your card reaches less than $5. o In person at a PATCO customer service window. o Directly loaded by a transit benefit partner. § You must provide your benefit partner your new PATCO FREEDOM SHARE card number. § If you receive paper Transit Checks, simply continue to mail or hand in person at a FREEDOM Service Center. Please remember to provide your new PATCO FREEDOM SHARE card number. 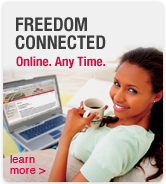 o Online loading at patcofreedomcard.org will not available until Fall 2018.
o Ticket Vending Machines (TVMs) will not be able to load value to the FREEDOM SHARE card. PATCO is currently seeking a limited number of customers who transfer to SEPTA on a frequent basis to “test pilot” the new system prior to its launch in September. If you would like to be considered and provide valuable feedback, please email patco@ridepatco.org. Along with your contact information, please include the last eight (8) digits of your FREEDOM Card number, the number of times a week you transfer to SEPTA and the SEPTA mode of travel- subway, regional rail, trolley or bus.